The School of Music offers a broad and comprehensive professional music program. Through its many specialized professional music concentrations, the School affords music students the opportunity of a wide variety of professional direction, training, and experience. In the School of Music, there are 47 full-time faculty, 10 part-time faculty and 9 full time staff. Currently there are 266 B.M. and 18 B.A (284 undergraduate students total) and 84 M.M. students for a total of 368 music majors. The School of Music is housed in the brand new Natalie L. Haslam Music Center. 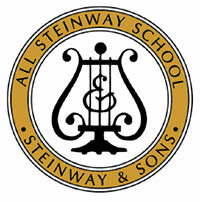 As of August 2013, the School of Music at UT is an All-Steinway School, meaning that at least 90 percent of its pianos are Steinway-designed pianos. The School is extremely proud of its record of achievement in education, performance, and service. Internationally recognized performing artists and conductors, members of major symphony orchestras, leading performers in commercial music and jazz, composers, and faculty members of leading academic institutions are included in the ranks of the School's graduates. The School of Music is accredited by the National Association of Schools of Music (NASM), the accrediting agency for music units at institutions of higher education in the United States. The mission of the School of Music is to provide the highest quality of instruction in the musical arts and to cultivate creative activity and research in the areas of composition, education, musicology, pedagogy, performance, and theory. As part of its mission, the School enriches the musical and educational lives of its students, the university community and citizens of Tennessee. encourage interpretive, creative and scholarly expression. Such preparation enables students to be competitive in music careers and related fields and to continue study at an advanced level. To foster a greater understanding of music, the faculty regularly engage in artistic, educational, and scholarly activities through performances, workshops, publications, and participation in professional organizations. The School fulfills its service mission to enrich the educational and cultural life of the university at large by offering a broad range of courses, performance opportunities, as well as public concerts, recitals, and musical productions. The School also aims to promote a greater understanding of cultural diversity among faculty and students; build a diverse student and faculty community; and offer curricula that require students to engage with the musical richness of our world and develop their own musical identities within an increasingly interconnected globe. The School of Music offers an honors program for exceptional undergraduate students. The University of Tennessee is located near downtown Knoxville, TN. Knoxville, a city of 178,000 residents, is in East Tennessee, near the Smoky Mountains. Knoxville has a vibrant music community. In addition to the performances sponsored through the School of Music, the University Center Cultural Attractions Events series brings concerts, dance troupes, theatre companies, and other professional touring groups to the campus. The University of Tennessee's Frank H. McClung Museum, the Ewing Gallery of Art and Architecture, the Dance area, the Clarence Brown and Carousel Theatres, and International House also present many exhibits, performances and productions by students and faculty. The Knoxville Symphony Orchestra, Chamber Orchestra, Knoxville Opera Company, City Ballet, the Bijou and Tennessee Theatres, Thompson Boling Arena, The Arts Council of Greater Knoxville, The Knoxville Museum of Art, and the Knox County Tourist Commission supplement artistic activities in the area. The annual Dogwood Arts Festival sponsored by Knoxville brings more than 200,000 people from the city and surrounding area to see performances by many university and civic groups as well as to observe visual artists.